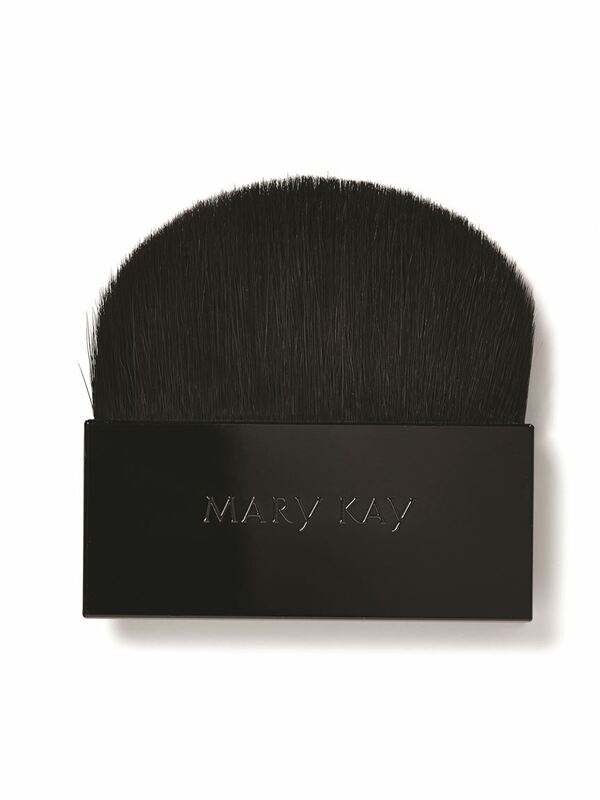 The perfect brush for applying a light coverage of Mary Kay® Sheer Mineral Pressed Powder. The brush matches the full, wide width of the Mary Kay® Sheer Mineral Pressed Powder pan. This size ensures that one sweep from corner to corner picks up the right amount of product for even application. The handle’s beveled base not only mimics the modern design of the Mary Kay Perfect Palette™, but it also allows you to easily remove the brush from the well with a one-finger push on the bottom of the handle. The brush features the same super soft, high-grade synthetic bristles as the Mary Kay® Essential Brush Collection. It fits perfectly inside the Mary Kay Perfect Palette™ well.